Scouser Tony Warner never made an appearance for Liverpool, but he sat on the bench 120 times between 1994 and 1999 as our backup keeper! 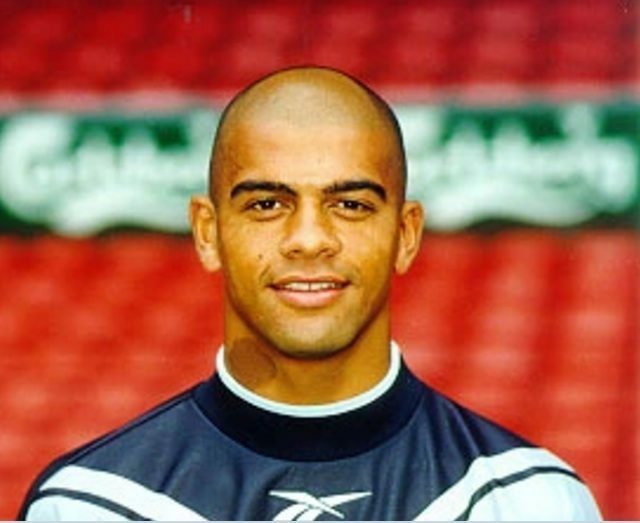 He went on to play for Millwall, Cardiff, Fulham, Leeds, Tranmere and a host of clubs – winning caps for Trinidad and Tobago in the process. EOTK caught up Warner on Liverpool’s current goalkeeping situation. 1) First up, thanks for taking time to speak with EOTK. What are you doing with yourself now – the last we heard you’d taken a role in India…? Not a problem, happy to speak to you finally. Right now, I’m the academy goalkeeping coach at Bolton Wanderers. This is my third season now. I intended to go to India but it fell through, so I didn’t end up going. 2) The other day, the 2nd goal we conceded against Roma caused huge debate among Liverpool fans – so from someone in the know – should Mignolet have done better? Or are you blaming the defenders? I had a discussion with Jordan, who had a heading to solely blame Mignolet. I think when you allow a free header from 6 yards, you’re always going to be in trouble. For me, Stewart had a quick look, saw Dzeko and didn’t react – allowing him a free header. Mignolet made the initial save; in fact it hit him more than anything because it was that quick. So that gave him a second chance to clear… I’d like to see Wisdom kick it out of the ground but he’s decided to leave space for Mignolet to come. Mignolet could have thrown himself at it and got a block, so maybe he could have done slightly better, but if you challenge the first ball on the edge of the box, the rest of the situation doesn’t unfold. 3) Mignolet seems to get stick no matter what he does, now. Are the fans unfair on him – or has he brought it upon himself? He has had some uncertain periods at Liverpool and there are always going to be fans who don’t like him because of this. I suppose if you make mistakes you have to take the stick, but the way the media hands it out can be a bit harsh – just like the second Roma goal. When you are in the crossfire, if you play any part in a goal, big or small, the blame can be unfairly directed. 4) Is it a genuine worry that Mignolet will begin the season as no.1, with Loris Karius injured, or do you have faith in the Belgian? He will be the man with the shirt for about eight weeks now so I suppose he can focus on solely playing instead of looking over his shoulder at Karius. This might be a good situation for him but it won’t last long because Karius will be back soon enough and pushing for a place because he has made the right noises about wanting to be the n0.1. To answer your question for this initial period, I do have faith in him, yes. 5) Which keeper do you think will eventually become first-choice when Karius returns? It’s impossible to say really. Klopp will know Karius well and will obviously fancy him after such a good personal season last year. I should imagine he was looking forward to the two keepers scrapping it out and pushing each other in pre-season, but the decision has been made for him in the short term. I don’t think Mignolet can have too big a wobble this season without serious noises being made about Karius being drafted in. It’s down to Mignolet right now. I suppose the question is can Mignolet have a trouble-free first half of the season so he can build his confidence and hold onto his shirt? 6) Karius is highly rated, but he’s only 6 ft. 2′, not huge for a goalkeeper nowadays.. Is he tall enough to reach a world-class standard? It’s not a bad height. It’s probably the lower end you would want as a height for your keeper, but not overly small. I think it’s better to look at his performances as and when he gets his chance. Remember Kasper Schmeichel is that height too, and he’s walking around with a Premier League medal right now. 7) You left Liverpool permanently in 1999. Since then, which keeper has impressed you most? If I’m looking at English football during that period you can’t look past Peter Schmeichel. Even though he left United in ’99, we saw the best keeper in the world close up. The other obvious choice would be Petr Cech. A brilliant keeper who brought so much to a good team. Hard to beat and consistent. I do think he’s been jaded since his head injury though. An interesting keeper for me who has impressed but been under the media radar has been Asmir Begović. I thought he would have been a good fit for Liverpool in the summer after most of the season on the bench at Chelsea.